Sadie’s used to letting her mum look after the kids she child-minds, while she looks after herself. But when Mum goes down with flu, suddenly Sadie finds herself looking after the whole lot of them! There’s three-year-old Gemma, two-year-old Vincent, babies Clive and Sara – and Mum too, of course. Luckily, when the children’s mums decide to pitch in and help, the craziest week in Sadie’s life also turns out to be the most exciting! This book is good but i likd kther books way better. Usually Sadie is used to Mum looking after the children but this week mum catches the flu! so Sadie craziest week turns out to be the most exciting! It was one of the best books it is good for children who like interesting books I would definitely recommend it in the future. A funny book by Jacky Wilson! I love the way Sadie looks after her mum, not the other way round. Another great Jacqueline Wilson book. If theres one thing I love in the world, its my mum. So I adored this book. I read it a long time ago now, but I thought it was such a sweet book, and sadie was such an adorable character. Wonderful read for younger girls and boys. Very good, exciting, interesting book, very funny! Deadly! ...I know this is for the younger readers but you cant get enough of jacqueline Wilson so i read it and wow dose this book know how to blow you of 1 word. It was a little bit boring,if you ask me.And im her biggest fan!Honestly Jacky you could do better. 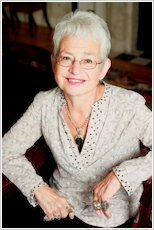 I am Jacqueline Wilson’s number one fan, i love all her books! 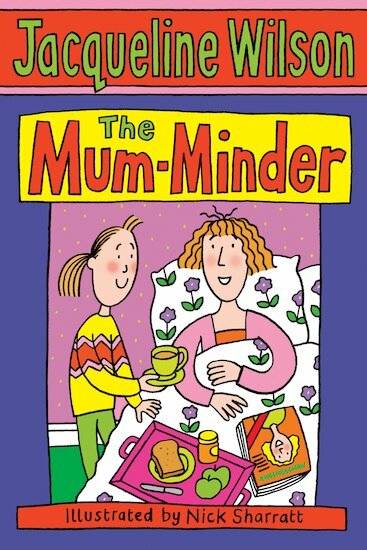 The Mum Minder is fantastic, i like how each chapter is a day. Its a unusual but fun storyline. When Sadie’s mum gets the flu the mums of children she mnds take it in turn to take all the babies to work with them. it was good but didnt pull me in that much!! I apsaluly love this book it is the best its my favourite book in the hole wide world. I read this whole book on the way to butlins in the car and it was so good I couldnt stop reading it. “I’m Sadie and I’m nearly nine. Mum’s a childminder, but she doesn’t have to mind me. I can mind myself, easy-peasy.” Sadie’s used to letting her mum look after the kids she child-minds, while she looks after herself. But when mum goes down with flu, suddenly Sadie finds herself looking after the whole lot of them! There’s three-year-old Gemma, two-year-old Vincent, babies Clive and Sara – and mum too, of course. Luckily, when the children’s mums decide to pitch in and help, the craziest week in Sadie’s life also turns out to be the most exciting! Sadie’s mum goes down with the flu. Sadie has to be a mum minder, plus all the kids! Really good book, written from Sadie’s point of view. This book is great if you want to read it then read it . It is great .